Construction Project Management in India is the application of skills, knowledge, both technically using limited resources to achieve the targets set, in order to get the highest performance, time, quality and optimum safety. For construction project management in India, a project has limitations with respect to the ultimate goal that has to be achieved. Organizations have to ensure that the eligibility of a smart project management process by focusing on quality, cost, time, safety and health, environmental, resource, risk and information systems. In order to achieve a goal, the project needs a well-planned design. It can be done by providing project goals and objectives while making administration and programs, with the goal to meet all the requirements specified in a time limit, including cost, quality, and safety. Planning a project carried out by conducting feasibility studies, value engineering, planning within the scope of the project management (therein including time, cost, quality, resources, safety and health, the environment, information systems and risk). Scheduling Project Management is the application of planning by providing knowledge about the schedule and progress of the project plan and includes all existing resources, including costs, equipment and labor, material and timely completion of the project. Scheduling projects is carried out by observing the development of the project with various problems. Monitoring and updating of processes is always done to produce the right schedules, to fit the project objectives. There are several ways to create a project schedule, the scheduling Linear (vector diagram), curve S (HANUMM Curve), Network Planning, Time BARCHART and duration of action. If an error occurs and there are deviations from the initial plan, people must do corrective action and evaluation of the project, in order to continue to run on the right path. The main objective of the project is to keep the same flow and streamlining of the project by reducing or eliminating any form of deviation that might occur during the execution of development projects. The goal of the project is to empower & control the entire time, quality, cost and safety projects maintained, as well as having the proper criteria as a benchmark. All activities undertaken during the inspection process are controlled; supervised, corrected and are repeated for the project during the implementation process. Good project management is how to manage and organize a wide range of assets, human resources, time and quality of work of the project, so the project generates maximum quality within the planned time and give effect to the welfare of employees. A project needs a good management process so that each personnel can carry out his job properly in accordance with it & is responsible without pressure from superiors. Rapid development, excellent quality and low price. Pleasant working atmosphere, the compact and the mutual respect between co-workers, superiors and subordinates. Manager in project management can act as a leader. Enjoyment of the rights and responsibilities of employees. 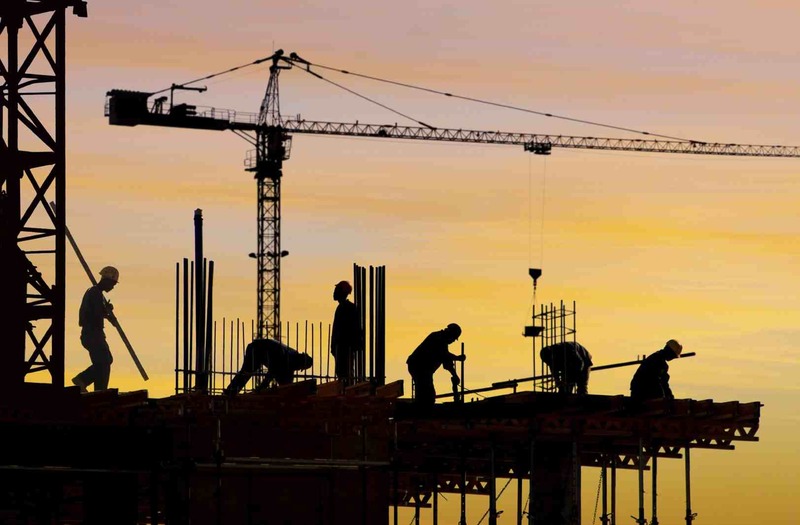 A properly organized construction project management in India will be able to complete the construction of the project in a much faster time; less than the scheduled time in the contract (worst case it is at least not delayed), in addition to the cost control, so as to obtain the maximum benefit. A robust & strong quality system is also a key project management asset. Safety Project Management are integrated processes where individuals as part of an organization are involved to setup a plan, organize, execute and control activities, all of which are directed at targets that have been set and continues over time. Organizations should monitor all these activities which are oriented towards achieving the target. The organization serves as a container for pouring concepts and managing ideas. So it can be said that planning a safe project is a series of responsibilities that are closely related to each other. The project is a group of tasks that needs to be formulated to achieve the stated aim of concrete development and must be completed within a given period using human labor. According to expert research, the project is a combination of various resources gathered in an organization to achieve a certain goal. Project management is the application of knowledge, skills, ‘tools and techniques’ in project activities so that the requirements and needs of the project are met. The processes of project management can be grouped into five groups, namely: ‘initiating process, planning process, executing a process, controlling process and closing process’. When compared with the definition of the project, then all ‘other work’ is regarded as a mere routine. A routine work usually takes place in a continuous, repetitive and process-oriented environment. There are many definitions of risk; risk can be interpreted as a form of a state of uncertainty about a situation that will be able to occur with a decision taken based on various considerations at this point. Risk management is the process of measuring or risk assessment and management strategy development. Strategies that can be taken include moving the risk to another party, avoiding the risk, reducing the negative effects of risks, and accommodating part or all of the consequences of a particular risk. Traditional risk management focuses on the risks incurred by physical or legal causes (such as natural disasters or fires, deaths and lawsuits). Risk management is a series of steps that help software to understand and manage uncertainty. Examples of project management are: to build a football stadium, constructing large-scale studies, carrying out organ transplant surgery, post production traffic, or struggling to get an undergraduate diploma in a college. Gloves, these tools are used to protect the hands. Gloves should be made of fabric that is comfortable to wear to prevent workers from impact, scratches, and effects of welding rays. Masks used to protect the face from the influence of light. Long shirts, clothes that have good radiation absorption. Usually, these are made of rubber lead. Supervisor’s job is to check, measure, and evaluate, to conduct follow-up related to the problems found. In few development projects, labor inspectors are assigned who monitor whether employees are executing jobs based on the SOP that has been made. The use of protective equipment, working hours, consumption, etc. could affect the optimization and safety of workers. How to Reduce Risks of Accident in Project Engineering? In the implementation of development projects, of course, we want to keep things running without any problems. We need to understand potential problems and early on try to anticipate them. One problem that is very vulnerable is that of accidents, which in certain contexts even endangers the lives of workers due to less attention paid in preventing accidents. For construction services, giving services to certain development projects must have an agile process whose primary focus is to maintain the safety of workers project. A professional construction services company would need to have a futuristic shape effort that ensures construction projects can be completed without any casualty. Simple building construction projects may not be as important as a large building project involving many more workers and hence complex hierarchy and processes. Whatever the size of the project be, efforts still need to pay attention to the safety of workers. In carrying out the necessary safety efforts, the company’s management policies should guide the operational procedures i.e. Standard Operating Procedures (SOPs) that must be complied with by all elements of the workers involved. In order to anticipate an issue, we must first understand what the source of the problem is or the main cause of accidents. When we realize what the cause is, we can take appropriate measures, substantive, and reliable in solving the problem of workplace accidents. This is caused by human error or the fault of the man himself. Here, the human does not meet safety standards due to inattention, careless, drowsiness, fatigue, etc. Research results found that 85% of workplace accidents are caused by human error factor alone. The human factor is caused by the characteristics and qualifications of workers. The system & processes are less capable, the system does not work well for recruitment, giving disproportionate hours, hence workers are prone to fatigue, and lack of supervision of the workers. Workplace accidents can also be caused by environmental conditions that are not safe (unsafe conditions) such as slippery floors, poor lighting factor, or even glare, the condition of the machine is open, and so on. The environmental problems need to be anticipated early on, so the solution will be adjusted contextually depending on the condition of each workplace. Recruitment is the first gateway that can filter qualified workers and which is not being properly managed currently in most organizations. Therefore, we need to fix the problem of quality recruitment by providing minimum criteria or requirements that must be fulfilled for a construction worker. The minimum requirement can filter out which workers can perform decent work and who cannot, since there are still companies that rely on quantity or number of workers than the quality of performance, thereby leading to more accidents. Worker status can influence a person to have the motivation to work, provide psychological comfort for workers. If the workers are experiencing uncertainty, it will degrade their performance and they may not focus on what their work goals are. In contrast, if he is already getting certainty it will make them strive to improve the quality of their performance, and strive to comply with all the rules of the labor supplied by the company. Job training is provided so that workers hear, understand, and appreciate every job that must be done with due regard to safety. This training should be able to provide awareness for the workers to always be disciplined and obedient to the SOP that has been made.